Living in Hong Kong and being a relatively lazy weekday shopper ( a trip to the wet market, GrEAT or Citisuper is a detour), I am always happy to come across a nice salmon recipe as it is the only fish that I would cook that’s available in my regular supermarkets down the road. A recipe also gets bonus points for being something that I can whip up in 10 minutes – sometimes we are at the office late, and other times I just cannot be arsed to spend too much time in the kitchen. That’s why this recipe from Gwyneth Paltrow’s book “It’s All Good” is perfect. You might think that her book is all gluten-free this and vegan that (especially if you have read this hilarious article describing one woman’s effort to eat like Gwynie for a week), but actually some of her recipes are quite accessible, and you can always make substitutions or even omissions with some of the ingredients if necessary. This recipe is simple as pie, no changes necessary. 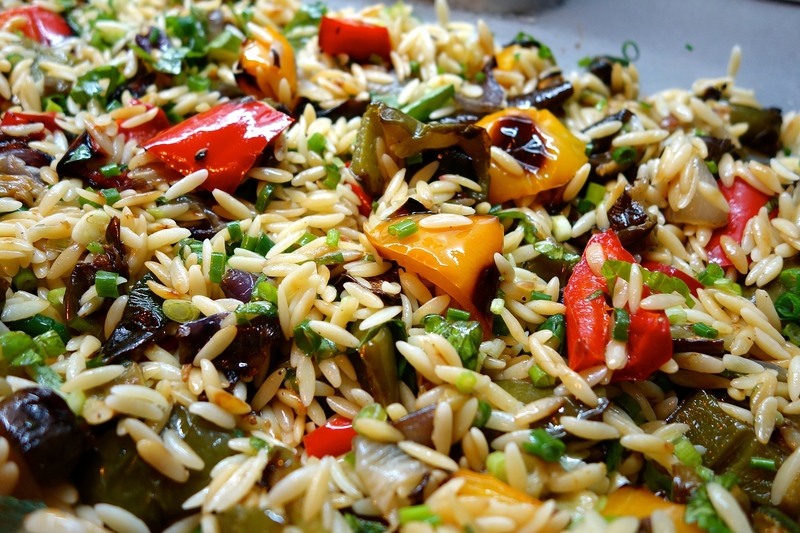 I serve it with a simple salad, or a pasta salad such as Roasted Vegetable Orzo Salad. As you can see, I didn’t have any parsley, so I substituted chopped spring onions instead. ❤️ Heat a grill pan over high heat with 2 tbsp olive oil. Wash and pat dry the salmon fillets, sprinkle with salt and pepper. 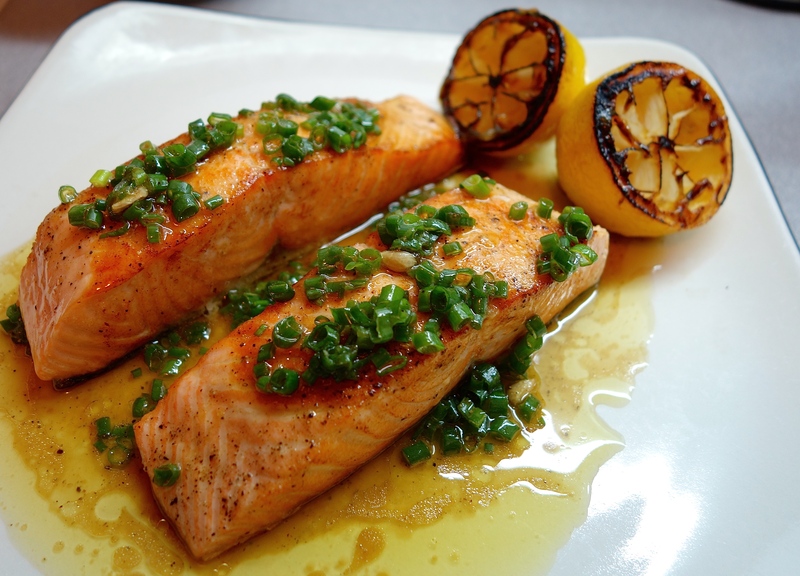 Heat the oil in a flat frying pan, place the salmon and halved lemons on the pan and cook the salmon for 3-4 minutes on both sides. Leave the lemons be to sizzle away happily. ❤️ Meanwhile, add the chopped chives and parsley in a medium sized bowl with the olive oil. If you don’t have those fresh herbs, substitute with chopped dill, basil, spring onions or even dried parsley. ❤️ Transfer the salmon to a serving plate. Squeeze the juice from the grilled lemons into the olive oil, removing any pips. Whisk it all together until nicely combined, season with salt and pepper, then pour onto the salmon. Done! Try serving it with Roasted Vegetable and Orzo, it’s a winning combination!